Review: It’s time to put Clint Eastwood in the same bucket as Cher and Tina Turner, artists who said they were retiring from one stage of their career only to launch a comeback years later. Now, I’m not sure if the grizzled Oscar-winning star of spaghetti Westerns and the Dirty Harry films would necessarily mind being in the company of the leggy Turner and the ageless songstress but he’s definitely said on two previous occasions that he was done acting in front of the camera (in 2008’s Gran Torino and 2012’s Trouble with the Curve) and yet here we are in 2018 talking about Eastwood’s latest acting turn in The Mule. The arrival of The Mule came as a bit of a surprise to many, with the movie picking up late breaking steam in an already packed Oscar season. This had Hollywood talking because the last time an Eastwood picture arrived on the scene late it was back in 2004 with Million Dollar Baby and we all know how that turned out: Best Picture, Best Director, Best Actress, Best Supporting Actor. Many Oscar pundits suddenly were keeping a fifth slot in all categories open for The Mule on the off-chance Eastwood had another dark horse on his hands. Well, The Mule has trotted into theaters and even if it’s not going to pose any threat to the already established Oscar contenders this year, it’s still a nice achievement for the 88 year old director who has managed to stay quite prolific over the years. Though his early 2018 film The 15:17 to Paris was a significant critical and box office flop and his record is starting to become overly spotty (hello the horror of Jersey Boys) Eastwood knows how to construct a hit as the huge earnings of Sully and American Sniper indicate. The evening showing of The Mule I attended was sold out and its crowd seemed comprised of Eastwood’s target audience, white late fifties Midwesterners who like their movies straightforward and not too challenging. 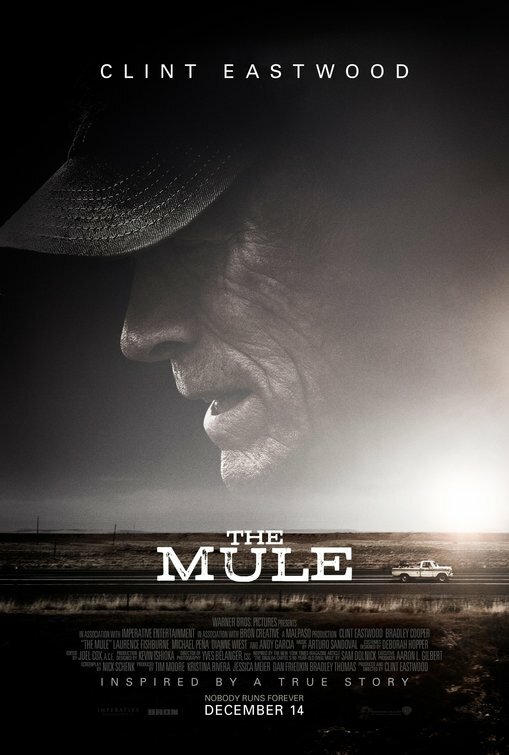 Written by Nick Schenk (The Judge) and inspired by Sam Dolnick’s New York Times Magazine Article “The Sinaloa Cartel’s 90-Year Old Drug Mule”, The Mule follows Earl Stone a former champion horticulturist facing foreclosure that starts to run drugs between Texas and Illinois as a way to earn money. Well, actually Earl just drives the truck and doesn’t ask questions as to what his cargo is…he’s just happy to be making enough money to pay for his grandaughter’s wedding expenses, buy back his home, update his local VFW, and improve the lives of his family and friends in other ways. For so many years Earl focused solely on his own needs, pushing his family aside and he begins to see in his advanced age how important making amends is. What does he care how he makes the money as long as no one gets hurt? As the runs get more frequent and the cargo gets bigger, the danger increases and Earl is watched not only by paranoid figures within the cartel but DEA agents tasked with bringing down the ring of drug smugglers. While Eastwood keeps the film moving along at a good pace, there are multiple storylines he’s balancing and not all of them feel like they totally work. The best moments are actually when Eastwood is flying solo, talking to himself on the road or singing along to oldies as he makes the trip from TX to IL. There’s a ease the actor/director has with the camera that feels familiar and right, he’s the strongest when he’s by himself. Awkward moments showing Earl’s inherent bigotry are played for laughs but is it really all that hilarious to laugh at or excuse away hard-wired racism in 2018? Everyone seems willing to just brush it off as “Oh, he’s just old”…but where is the person that stands up and says “No, we don’t talk like that anymore.” That character isn’t in this movie and it should be consider a missed opportunity that they aren’t. Eastwood obviously called in a few favors when pulling together his supporting case. There’s Dianne Wiest (Parenthood) acting up a storm in her cat-eye glasses as Earl’s bitter ex-wife who gradually softens the more he shows he’s not the absent husband/father he was when they were married. Wiest and Eastwood have a good rapport, though I never in a million years believe they were ever hitched. 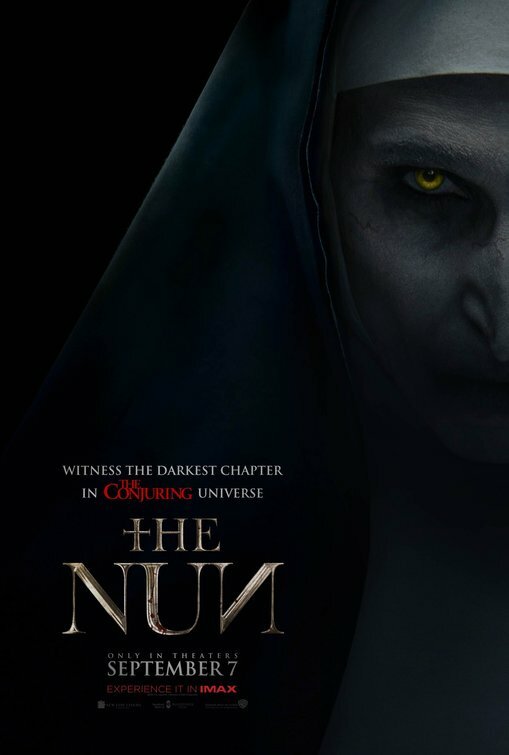 Taissa Farmiga (The Nun) fares poorly as Earl’s granddaughter – sure, she’s saddled with some creaky dialogue but the performance is just so weak when you compare it to who else she’s on screen with. Laurence Fishburne (Last Flag Flying) is a DEA Special Agent obsessed with getting “busts” and tasks agent Colin Bates (Bradley Cooper, A Star is Born) in making sure he makes good on his promise to track down the mule. It’s well known Eastwood is Cooper’s mentor and you can feel Cooper absorbing every screen trick Eastwood employs throughout the film. I also liked Andy Garcia (Book Club) in his brief supporting turn as the flamboyant head of the Mexican drug cartel. Even though I’d love for him to make an appearance in a movie directed by his protégé Cooper, it seems like this was the movie that Eastwood truly will call his final acting on screen – I mean why else would he include not one but two scenes of him bedding two ladies at once? Feeling like your grandfather’s version of what a drug movie would be like (with an inordinate amount of shots of women’s butts in thongs), The Mule is a watchable film that has a surprisingly poignant climax but one that won’t go down as one of Eastwood’s most memorable. 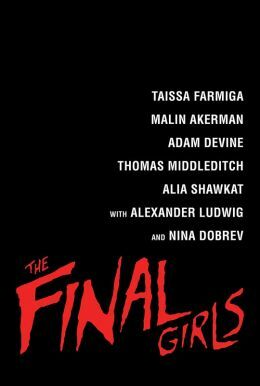 Synopsis: Inspired by actual events, a group of fame-obsessed teenagers use the internet to track celebrities’ whereabouts in order to rob their homes. Review: As the daughter of one of Hollywood’s most successful directors of the 70’s, Sofia Coppola began her directing career with a hat trick of smart and stylish films that felt like they had a true voice. The Virgin Suicides, Lost in Translation (for which Coppola won an Oscar for her screenplay), and Marie Antoinette couldn’t have been more different in tone but it was evident they all came from the same creative force. Stumbling with the troubled Somewhere, Coppola took her time in choosing her next project and what may have seemed like the right choice on paper winds up being a film that comes off as hollow and vacuous as the lives of the people it chronicles. For a few days after seeing The Bling Ring I really thought about what Coppola was going after. Maybe I was supposed to feel empty after watching the true life tale about privileged teens in Beverly Hills that are so bored and entitled they start to break into the homes of the rich and famous stars that line the Hollywood Hills. Showing little remorse along the way, these thieves read up on the gossip blogs to see who will be out of town and then simply Google the address and get ready to line their pockets and backs with the luxurious clothing and jewelry they find within. 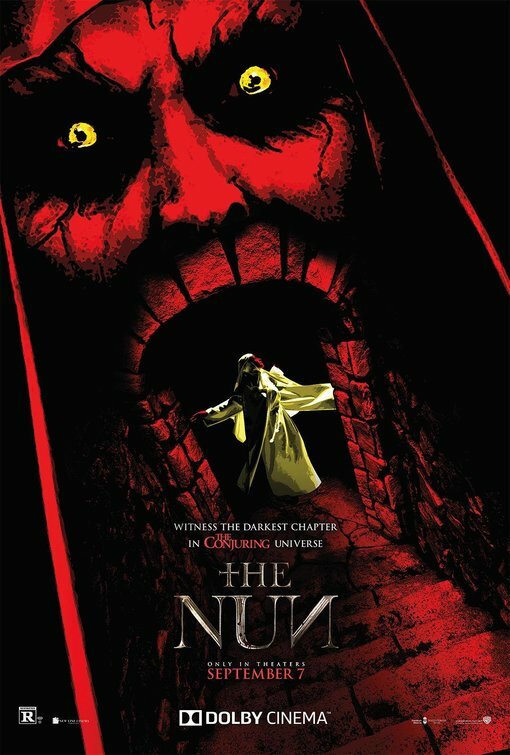 At a scant 90 minutes, the movie doesn’t exactly have a lot of ground to cover because the majority of the running length is just burglaries repeated over and over again. To be fair, the movie starts with some nice Coppola touches of bright colors and interesting camera angles…but soon the material gets away from her and instead of positioning the arc of her film toward a certain intent she instead lets the movie run straight down the middle with very little creativity. The lack of depth shown is frustrating but again…is that what the movie is all about? The profound lack of worth and value started to upset my stomach after a while and had Coppola given the movie even the slightest bit of edge it could have nudged the experience into the wicked satire I think it could (and wants to ) be. It’s hard to single out who the star of the film is. I’d say it’s newcomer Katie Chang as the scheming ringleader of the group and while it becomes fuzzy at times whether Chang plays bland to perfection or if she’s just not in on the joke I was always interested to see what she’d do next. Emma Watson (The Perks of Being a Wallflower, This Is The End) gets the best of the biting comedy bits but unfortunately still hasn’t mastered her American accent. This makes most of her delivery funny but not the homerun Coppola probably intended. 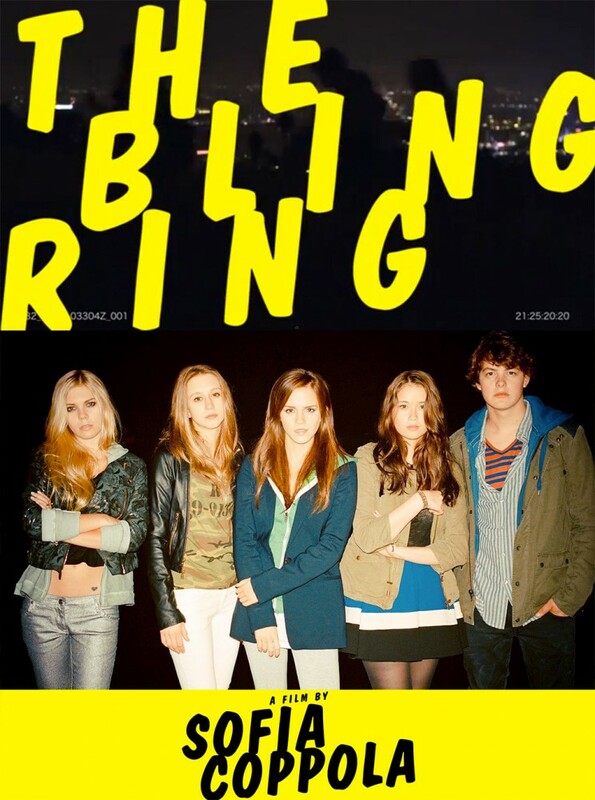 No great cinematic fete/feast, The Bling Ring is the kind of meal that I’m sure many of the burgled starlets probably enjoy…light and forgettable with all the sauce and cheese on the side. Thoughts: Sofia Coppola had a nice hat trick of films in the last decade with The Virgin Suicides, Lost in Translation (with a screenplay that won her an Oscar) and Marie Antoinette. Then she stumbled a bit with the jumbled Somewhere so it’s anyone’s guess where The Bling Ring will wind up. I must admit the inspired by a true story angle piques my curiosity, especially because Coppola seems so observant when examining relationships between the notable and not quite noticed. Emma Watson made a great post Harry Potter choice with The Perks of Being a Wallflower, let’s see if she continues knowing how to pick good projects.